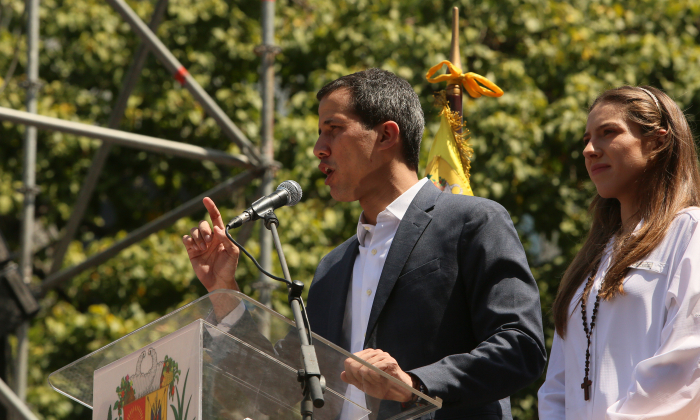 Nine major European nations joined the United States and major South American nations in recognizing Juan Guaido as Venezuela’s interim president on Feb. 4, intensifying pressure on socialist dictator Nicolás Maduro to step down. Britain, Germany, France, Spain, Portugal, Sweden, Denmark, Austria, and the Netherlands coordinated the announcement upon the expiration of an eight-day deadline for Maduro to call a new election. 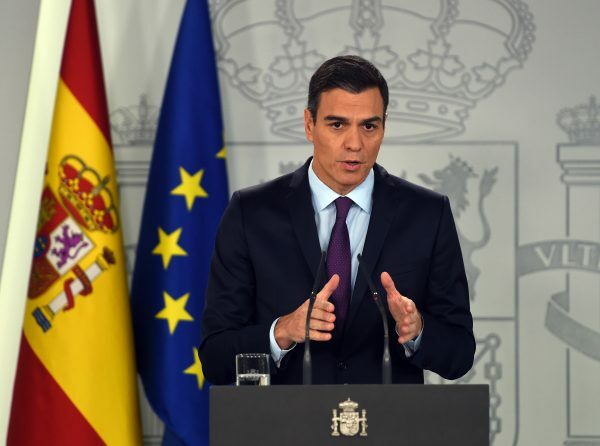 “From today, we will spare no effort in helping all Venezuelans achieve freedom, prosperity, and harmony,” Spanish Prime Minister Pedro Sánchez said, urging both fair elections and humanitarian aid. In Central and South America, the majority of nations, are backing Guaido. Brazil, Argentina, Chile, Peru, Colombia, Paraguay, Ecuador, Guatemala, Costa Rica, Honduras, and Panama have all announced their support for the interim leader. El Salvador, Nicaragua, Bolivia, and Cuba sided with Maduro. Israel, Australia, and Canada also sided with the United States to recognize Guaido. Maduro, a socialist dictator accused of empoverishing a once oil-rich nation of 30 million people, defied the European leaders saying they are following the lead of President Donald Trump. Venezuela’s duly elected National Assembly dethroned Maduro last month. Guaido, the leader of the Assembly, declared himself as interim caretaker. 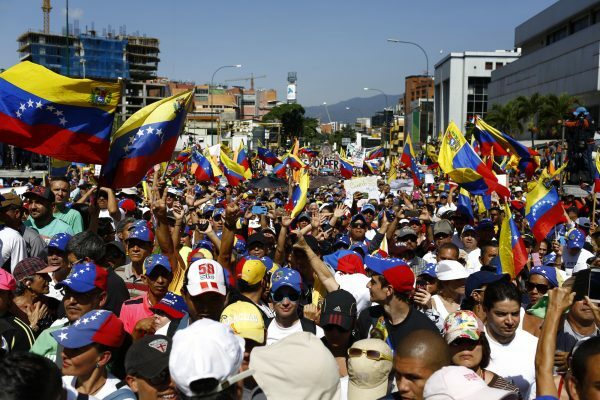 The move pitted free nations against socialist regimes and brought the Venezuelan people into the streets. Trump, who had incrementally increased pressure on Maduro since taking office, immediately recognized Guaido. Trump is a vocal critic of socialism and communism and has used Venezuela as a poster child for the ideologies’ failures. Russia and China poured billions of dollars of investment and loans into Venezuela. Both are supporting Maduro. Guaido has courted officials in both Moscow and Beijing in an effort to sway the two powers to his side. The United States imposed sweeping sanctions on Venezuela’s state-owned oil firm on Jan. 28, aimed at pressuring Maduro to step down. British Foreign Secretary Jeremy Hunt said Venezuelans had suffered enough. “The oppression of the illegitimate, kleptocratic Maduro regime must end,” he said. Maduro replaced another socialist leader, Hugo Chávez, in 2013 after Chávez died of cancer. The socialist policies championed by Chávez and Maduro have resulted in an economic collapse, widespread hunger and destitution, and the exodus of more than 3 million Venezuelans. 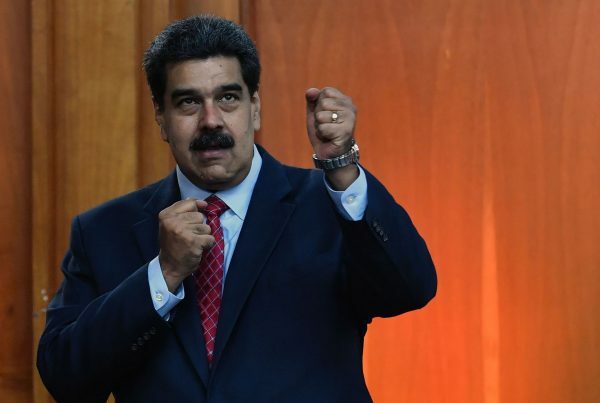 In a fashion typical to socialist dictators, Maduro blamed the failure of the economy on the United States, accusing Washington of plotting coups and controlling the oil market. Venezuela has the largest reserves in the world, but production has plunged under Maduro. Russia, a former communist regime, accused European nations of foreign meddling. “We think that imposing some kind of decisions or trying to legitimize an attempt to usurp power is both direct and indirect interference in Venezuela’s internal affairs,” Kremlin spokesman Dmitry Peskov said. The Maduro government is paying both Russian and Chinese loans with oil. Maduro won re-election last year, but critics say it was a sham. Two opposition rivals with a good chance of winning were barred from running. Food handouts and other subsidies to hungry Venezuelans were linked with political support. Italy’s left-wing 5-Star Movement, which makes up half of the ruling coalition, dissented from the European stance, saying it would never recognize self-appointed leaders. “Handing out ultimatums, sanctions, freezing Venezuelan goods … It would mean opening the road to a military intervention,” Alessandro Di Battista, a prominent 5-Star figure, said on Feb. 3. Meanwhile, Italy’s right-wing League party, backed Guaido last month. “I’m with the Venezuelan people against regimes like that of Maduro, based on violence, fear, and hunger,” League leader, Matteo Salvini, said last month. In an interview with Corriere Della Sera newspaper on Feb. 4, Guaido said he “will do whatever it takes” to persuade Italy to join the position of other EU nations. In addition to the European pressure, a bloc of Latin American nations plus Canada were to meet on Feb. 4 seeking to maintain pressure on Maduro.